The Lunar Highback Chair is designed by Space Copenhagen for Stellar Works. Inspired by the legendary Chinese goddess of the moon, the chair exudes feminine charm with its gentle curves and also an air of studied coolness with its straight wooden legs; a perfect marriage of oriental inspirations with contemporary Nordic design. 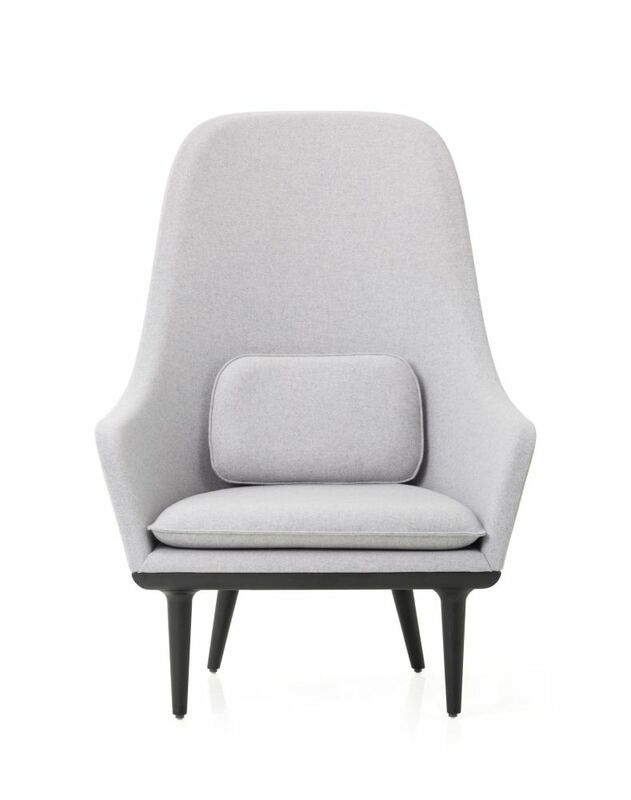 The Lunar Highback Chair is fully upholstered with cushion pads on the seat as well as the back, ideal for situations where comfort is as important as style. The Lunar Highback Chair is a comfortable all-purpose chair appropriate for both domestic and commercial uses, especially in sitting rooms, restaurants and hotels. The chair is part of a collection which also includes dining chairs, stools and other products.